Remember that descending triangle that we were watching a couple of days back? Well, it looks like EUR/GBP has finally broken above the pattern! While price has moved above the descending trend line, it’s also still hanging around the trend line’s levels at the moment. Are we looking at a resistance-turned-support situation over here? Or is this actually a fakeout that would soon lead to a downside breakout? 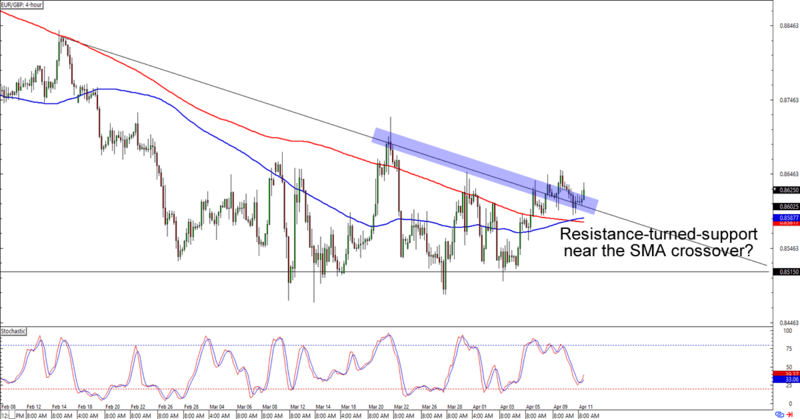 Watch this setup closely to see if the SMA crossover is enough to sustain a bullish move for the euro! If you bought EUR/CHF when it hit the major 1.1200 psychological handle, then you’ve likely made at least 100 pips from the pair’s bounce. Planning on jumping in on the uptrend? 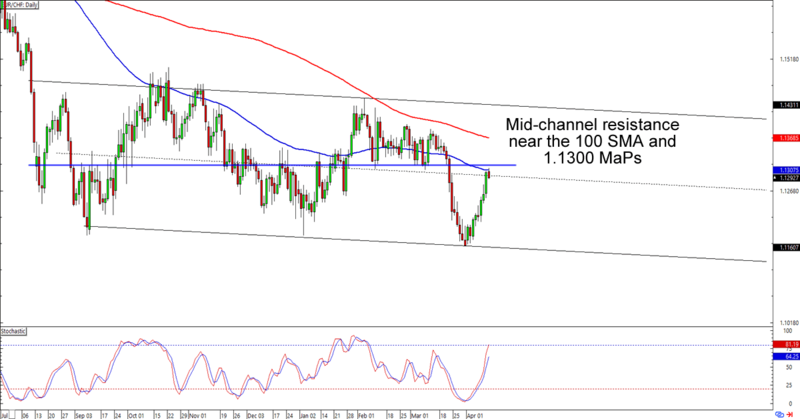 Watch out, EUR/CHF is having trouble breaking above the 1.1300 area, which also happens to line up with the 100 SMA and mid-channel resistance on the daily time frame. If you’re bearish on the euro, then you could start building positions around the current level and bet on a move back below the 1.1200 mark. If you’re one of them euro fans, however, then you could also wait for EUR/CHF to clear the 100 and 200 SMAs before you place any bullish bets. Whichever bias you choose to trade, make sure you’re using risk management when you execute, aight?